Here is a snapshot photo of my basement floor sorting project, everything is being cataloged and sorted by manufacturer and model. I will eventually catalog all of this and post here...Click image for larger view. 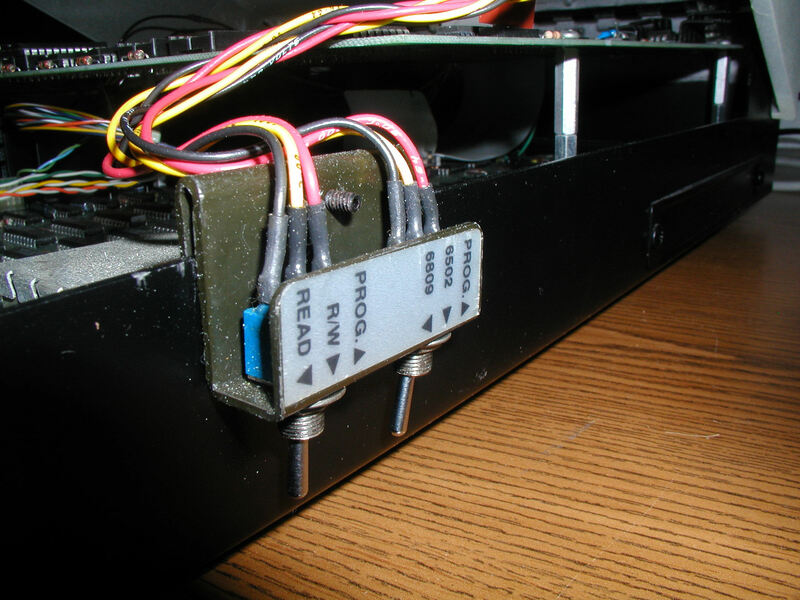 This is a view of the CBM SuperPET switch settings for 6809 mode. In this position one can run the Waterloo development languages including Pascal, COBOL, Fortran, BASIC, and Assembler. Click image for larger view. 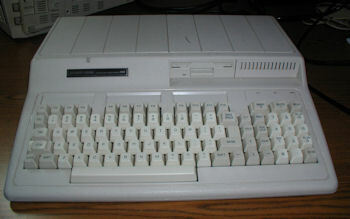 Tandy 1000 SX 25-1052B. 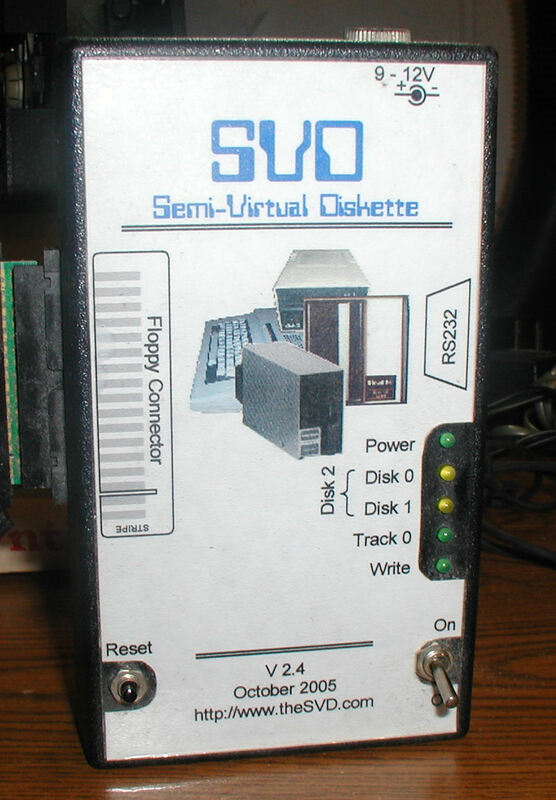 This unit has a 10 Mb hard drive and single 360K diskette. Click image to see additional photos of this model. 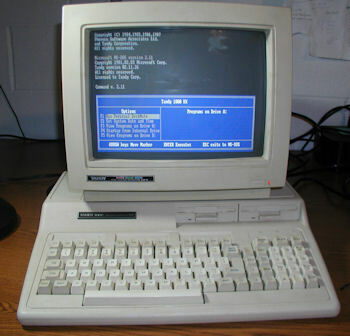 This is an upgraded 640K 1000 HX with two 720K disk drives. Click image to see larger view. 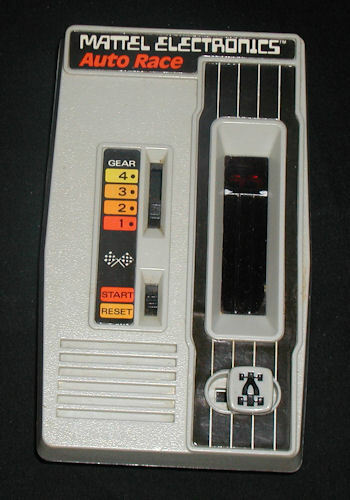 First Handheld Electronic Game, the 1976 Mattel Electronics Auto Race. TRS-80 Model III Model 26-1066 with Serial Number 0019671. This unit had two drives with broken drive door latches. From the view of the inside, looks like this machine had little actual use. Click image for larger view. 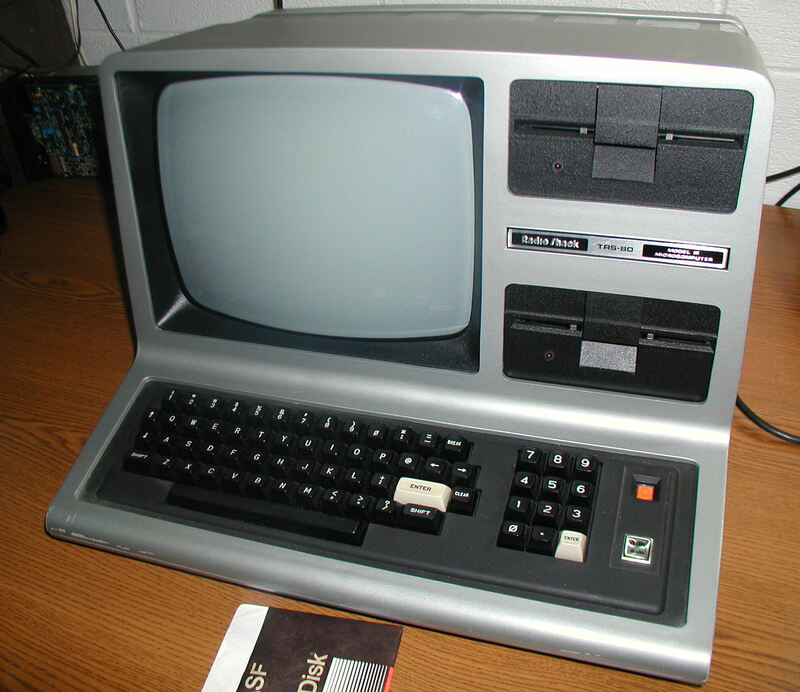 TRS 80 Model III Exatron Stringy Floppy, front panel. Click on image for larger view. Version 2.4 of the Semi-Virtual Diskette (SVD) was created by a classic computing hobbyist named Eric and could be used on TRS 80 models, Apple II, TI 99/4a, and Heathkit computers to extend a modern PC serial port to emulate a diskette drive. Click image for larger view. 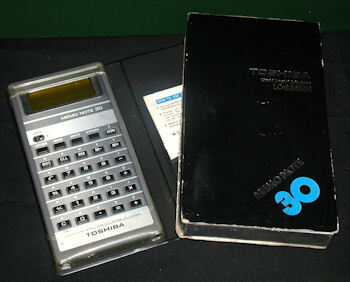 The 1978 Toshiba LC-836MN is considered by many authors to be the first hand-held personal assistant / databank, a computer-ish calculator. Click image to view more photos. Rockwell, MOS or CBM Kim-1? It's a rev D that should be Commodore, but the brand is obscured by a metal plate. 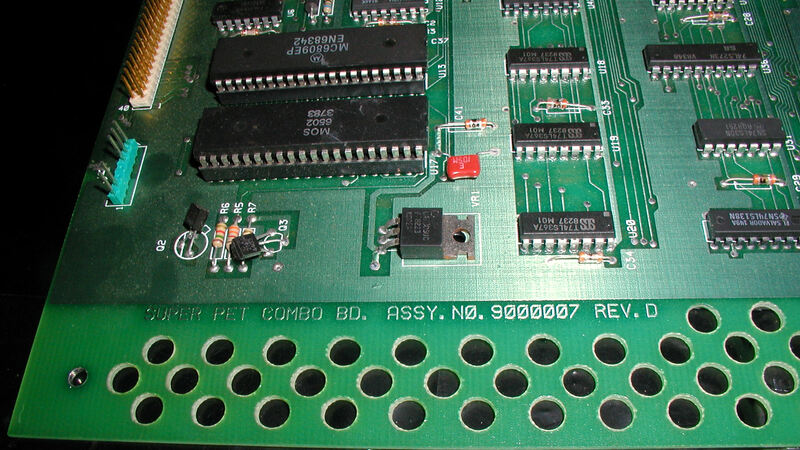 There is no date stamp above the serial number that I have seen in another rev D. Perhaps this is one of the KIM-1's from the transition between MOS and Commodore. Or maybe a Rockwell or other OEM Kim-1. But did Rockwell sell rev D's? The date codes of the chips are mostly early 1977, some late 1976 and the layout is the same as other KIMs that I have seen. 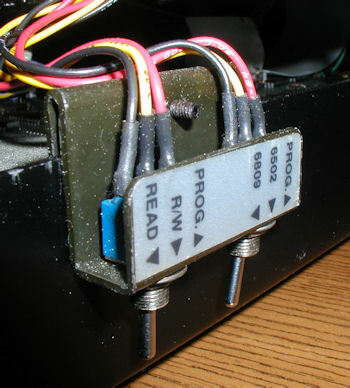 Note the serial number is PA2079. This same pattern was used by Commodore in later revisions. PA most likely indicates Norristown, Pennsylvania, USA. Click image for larger view. 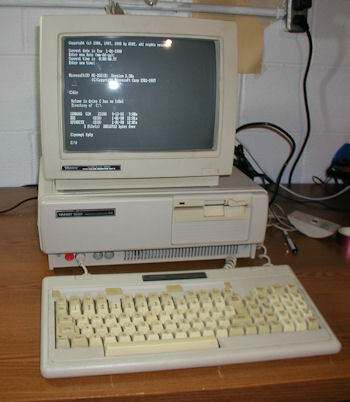 A few photos of a nice IBM XT model 5160 with 10mb hard drive, CGA display, and AST Six Pak RAM and utility card. Click image for larger view. 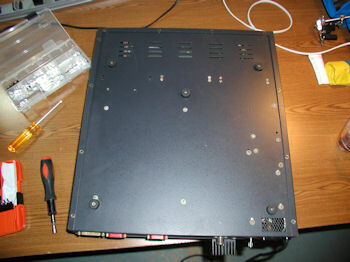 A view with the top cover removed. 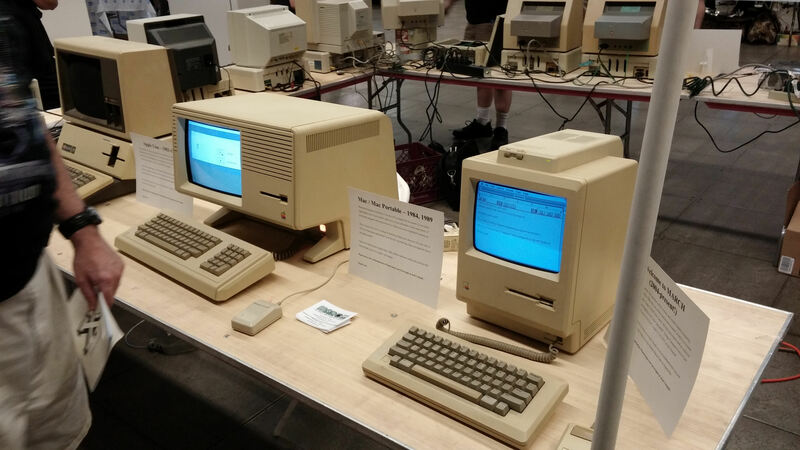 All components are original. 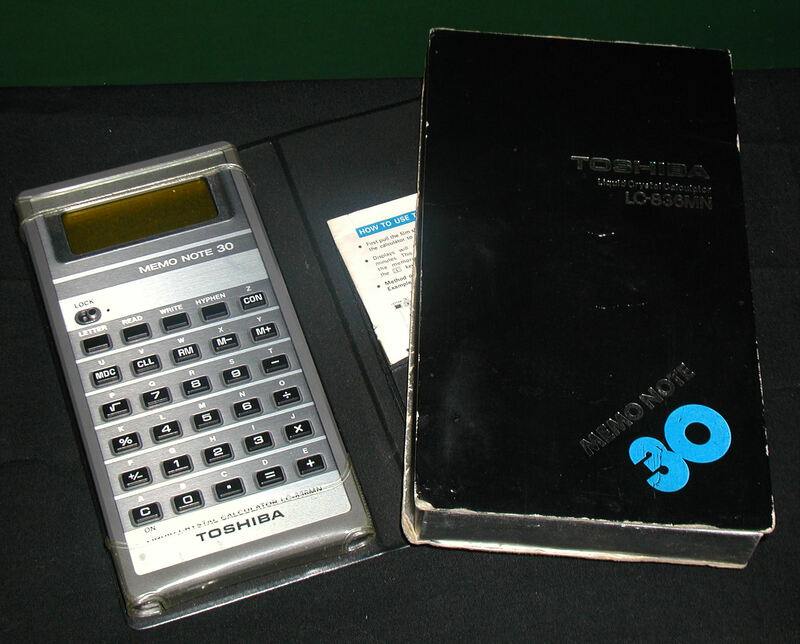 AST made a fortune selling their add-on cards, which were often purchased to expand the system at a lower cost than IBM's expansion cards. 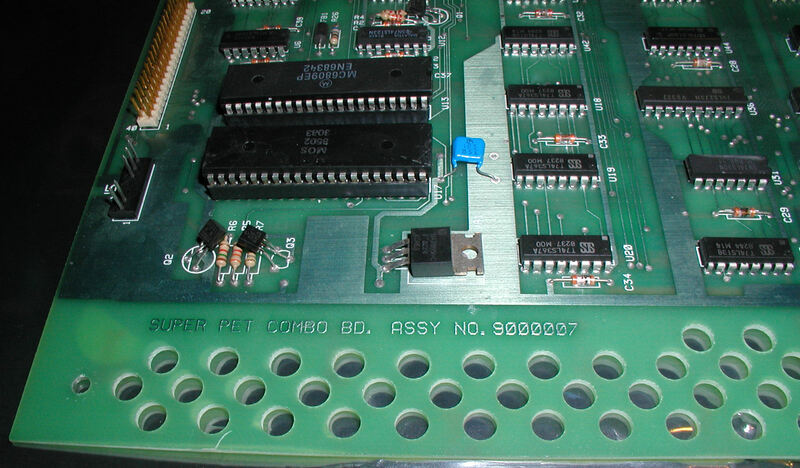 The capacity of this 5160 motherboard was 256K, the Six Pak contributes another 384K plus serial and parallel ports. 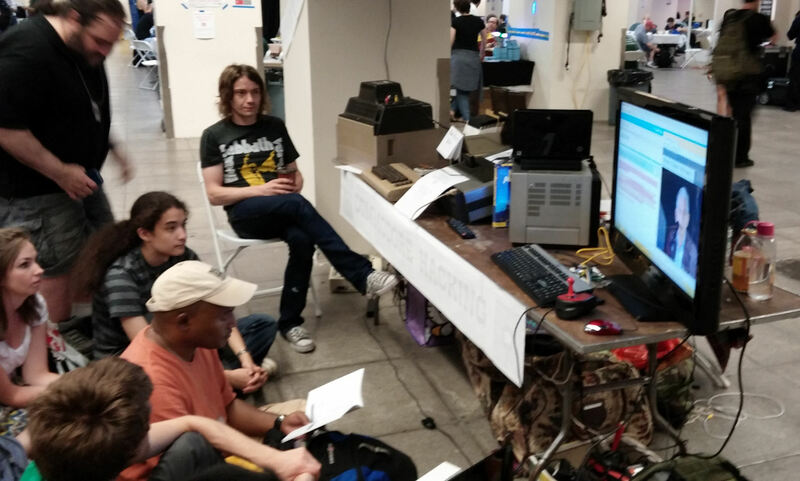 A small crowd gathers around a display terminal transmitting the Edward Snowden and Daniel Ellsberg panel. Every room in the HOPE X convention was tuned in to this historic discussion. Click image to see larger view. The Mid-Atlantic Retro Computing Hobbyists club exhibit, "Apple Computer Timeline". Click image for larger view.